Psiphon VPN is a free VPN that was initially developed at the University of Toronto. It’s a strange way for a VPN to be created, but there are big hopes for this completely free VPN. Psiphon VPN provides free services for people around the globe. It’s very generous for this Canada-based VPN to provide people with a tool to combat censorship and a shield from cyberattacks – but is the service any good? 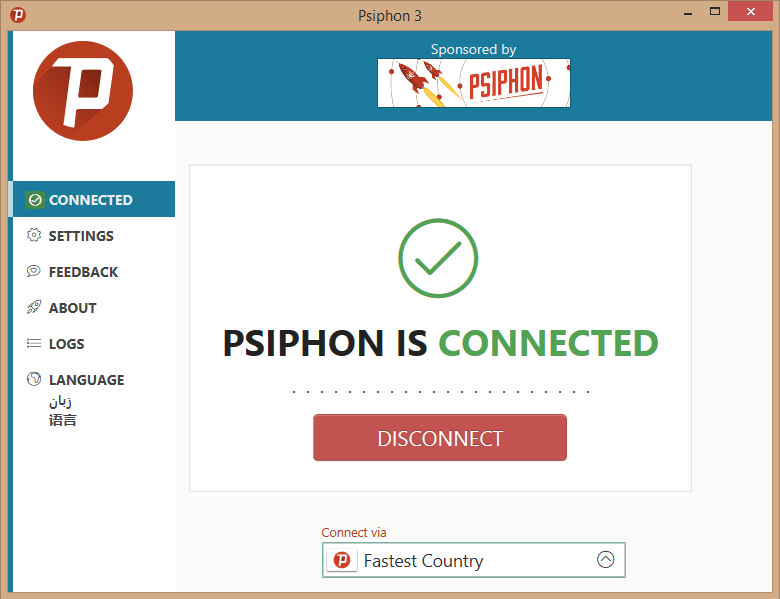 The word “free” and the VPN’s well-meaning ethos makes for a promising result, but it’s down to a thorough and comprehensive review to discover what Psiphon really has to offer. Let’s get down to business. Psiphon VPN has 21 locations, not an impressive number by anyone’s measurement, but considering they’re offering everyone privacy for the price of exactly zero dollars, we’ll give them a pass on that – plus, it’s not a small number either, and they cover plenty of areas around the world – from India to Canada, and everywhere in between. They offer 1,000 servers across 3 continents: Europe, Asia, and America. As for generous users who want to donate to the cause, Psiphon VPN doesn’t offer any way of donating via their website, like other free VPNs do. I guess that means they’re fine without it! It does make us wonder… what do they get out of it? Refund Policy: Did we mention it’s free? Really. Their services are free – so if you came to read this, expecting anything serious, you’re going to be left disappointed. Don’t like Psiphon’s service? Just uninstall and move on! Payment Methods: No, seriously. It’s free. Psiphon VPN has what could possibly be the easiest sign-up process because they don’t have one. They won’t even ask for your email address. It’s a smooth and easy process. To download the VPN, you can go to their website where the Free Download button is displayed. There’s also another Download button on the upper right corner of their website that leads you to the download links. Once the download is done, just double click on the file to install it and that’s pretty much it. No signup or login process necessary. In the event that a person is located in a country that blocks access or censors the download links from their website, you may request the downloads sent via email at [email protected]. The software is pretty direct and cleanly laid out. Users are given the option to quickly connect via the Fastest Country, but they can also freely pick which one of Psiphon VPN’s 21 server locations they want to connect to. We found it very easy to navigate. The tabs are conveniently placed on the left side of the software. Feedback can also be sent from the software itself instead of the VPN’s website; so users don’t have to constantly go to the website to let Psiphon know what they think. It’s definitely beginner friendly – there’s little to confuse users, and it’s a quick process to get started. The language tab placed in the sidebar is also a plus for people whose native language is not English. The layout is clean overall, and everything’s a click or two away – the kind of simplicity we look for. We’re pleased to report that the VPN is leak-free. 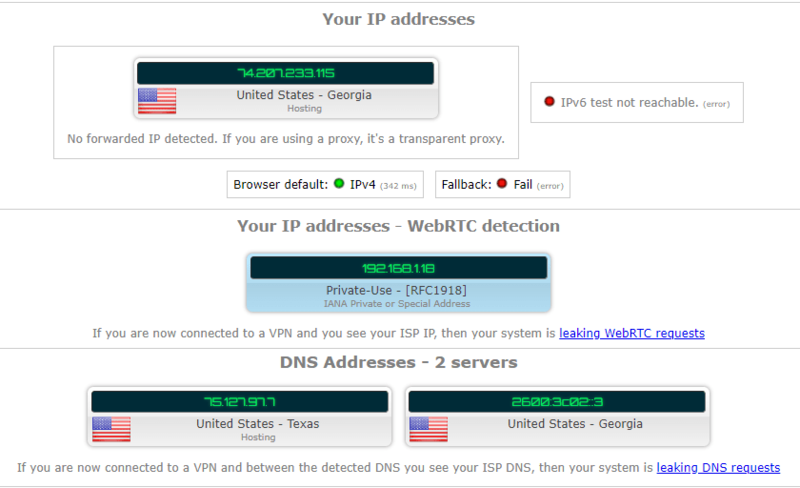 Their leak-free quality is pretty consistent even for the DNS leak tests we ran. It’s a little strange that this free VPN can provide a leak-free solution while there are some paid VPNs that still can’t get it right. Psiphon VPN uses the L2TP/IPsec protocol, which admittedly, isn’t as good as OpenVPN in terms of speed, but its encryption is 256-bit. This military grade encryption is a pretty solid and secure alternative. Get military-grade encryption for free with Psiphon VPN. Users may use this VPN with Windows, Android and iOS devices. Their download tab provides a link that you can click to start the download for the Windows and Android installers. 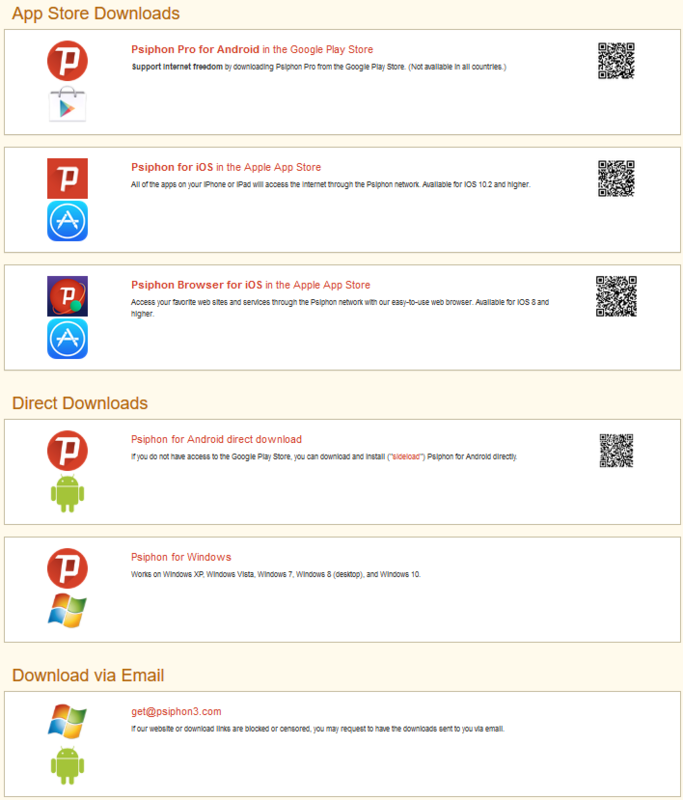 They do provide QR codes to download the VPN through the Google Play Store and Apple App Store. This selection isn’t much, but users are welcome to join their Announcement mailing list for any possible updates and announcements. The VPN does not have live chat support. We tried to send an email to [email protected], which is the email address they put on their website where you can request a download to your email if your country blocks the download link, but Gmail said the domain phisphon3.com could not be found and therefore, the message could not be sent. 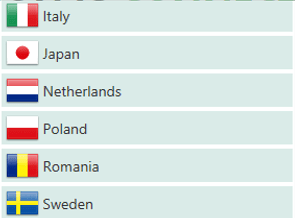 How are people from countries that censor the download links supposed to access the download if the domain cannot be found? In their software, however, users can give feedback on whether or not they enjoyed the VPN’s service. The feedback tab is located on the left side of their software. If the form doesn’t work for you, you can email them at [email protected], where we sent them an inquiry. We’re still waiting for a response as of writing. They also have a Resource tab where you can access the User Guide, FAQ, blog, and their other information about the company. This is where you can access troubleshooting tutorials and basic inquiries to their practice. As for their blog, the VPN hasn’t been very active. They began posting in 2013 and their last entry dates back to 2016. As mentioned before, they don’t collect information from users like email addresses, usernames, or passwords. They do, however, collect “Event Logs” which comprise of time stamps, information on your country and city, etc., but not user IP addresses. It’s all written in simple language that won’t make you read the sentence thrice for fear of misinterpretation. Since the VPN doesn’t provide servers located in Hong Kong (our usual testing grounds), we opted to run tests on their Singapore servers instead. The United States and Singapore servers failed to keep up with what the Germany server was able to provide which wasn’t even that fast. 7 Mbps is not what we would consider blazing fast. The speeds are really nothing special. 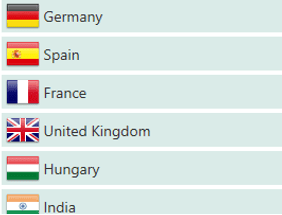 If you live in a country with much slower speeds, the speed of particular servers might be a win for you. Unfortunately, Netflix is inaccessible even on the United States server. This black streaming error screen will surely bring your plans of a lengthy movie marathon to a quick and disappointing end. You’re better off with any of our top picks for VPNs for Netflix. Users cannot torrent with Psiphon VPN. However, there are some forums on the internet that provide tutorials on how to bypass this if any users wish to torrent. But why go through the trouble when there are other great VPNs that offer P2P support? It’s cool that this VPN provides their services for free, but you know what would be cooler? If they had a kill switch. Psiphon VPN does not have a kill switch. This puts users in the risk of their data being exposed in any event of a sudden disconnection, but since the service is free… we can’t exactly complain. Psiphon VPN has been led by Michael Hull, the company president since 2006, where it was developed within the Citizen Lab, a laboratory of the University of Toronto that conducts research on different scopes of global security, human rights, and information and communication technologies. Since it’s free, the VPN does have some ads. They don’t feel intrusive and it’s a small price to pay for a service that won’t break the bank (at all, in fact). Their service boasts 100,000,000+ total downloads over their years as a free VPN. They offer their service in 39 languages. Seeing that Psiphon VPN was developed in Toronto, tells us the Canada-based VPN is situated in a country that’s part of the 14 Eyes Alliance. Having ties to VPN located within the 14 Eyes jurisdiction will always mean you run the risk of your data being collected by mass surveillance. The VPN provides a generous tool to protect people from censorship but based on their logging policy, it’s not the best for securing user data. They’re also inclusive of non-English speakers who may want to use their service, which is a nice touch. 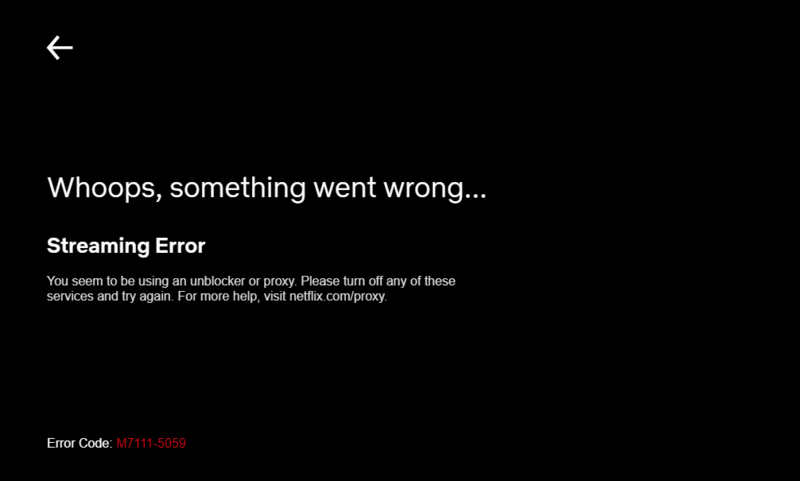 Users won’t have access to Netflix or be able to torrent (at least not without a workaround). The VPN is compatible with iOS, Android and Windows. Their speeds leave a lot of room for improvement, as well. That is if you trust that they are not mining your data. Nothing’s worse than worrying about VPNs using your data. Our recommendation? Skip Psiphon and go with one of our top 10 VPNs instead.